Nowadays, as the android systerm becomes more sophisticated, most of the car companies install it in the car head unit.But before that there're a number of cars didn't install the android when they rolled off the assembly line.So car owners would like to replace their factory head unit with a new android head unit. Many of them get excited about DIY, they may browse some professional websites ,buy the head unit from ebay or amazon, then start to install. I M also one of them.Last year I buyed an Android 7 system for my car, now it works well, and I can use many new features. When U install the new android head unit, some issues are unavoidable. In my view, don’t hesitate to consult your dealer, communicate with someone experienced or seek help from a professional. If you still think it hard for you to install the new head unit by yourself, you’d better straightly go to a upgrade center to ask a technician to help you. Last edited by Mason_geek; 01-17-2018 at 01:59 AM. I've looked through the Seicane selection of Android head units that you refer in that link, and they were generally over priced and under powered for the version of android that they are running..
Also, when I did a google search on them, the reviews were horrible. Lots of complaints about, quality, customer service, and many reports from people of them ignoring messages when requests for refunds were submitted for hardware that was not working correctly, or at all. Definitely, not a company that you want to deal with. This is just one of the many bad reviews they have, and it raises all of the red flags that you do not want to see. 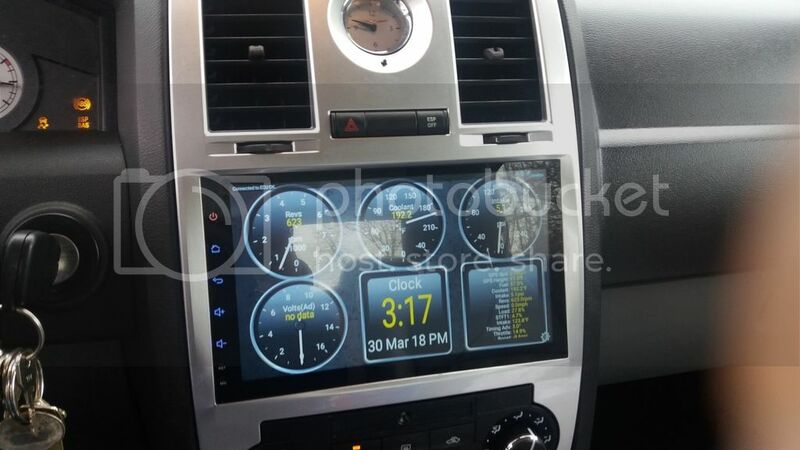 purchased an Android radio system with DAB+ for Mercedes GL. The included DAB+ USB adapter is not detected by the radio. I have now tested with a total of 10 DAB+ USB adapters (that works on other Android radio systems), and the Seicane system will not detect it. I have now spent the last 10 months sending warranty claims to [email protected] and [email protected]. They are answering after some time, but there are answers like: "Try another DAB+ USB adapter, please read the user manual." And this are the repeating answers. It seems like they are doing their best to wear out the customers to avoid any warranty claims. I paied US$ 755 for this system, but its natural destination is the trash bin. I have purchased other Android systems from other shops in China, and these systems are working perfect. Stay away from this scam company. " I just installed a 9 inch Android in my 2007 Chrysler 300C. Most sound fine, but some are better than others. Only the the higher end ones generally have the higher quality chips in their amplifiers. The cheap ones may look exactly like the better ones, but that is an illusion. The internals are usually different. Don't get me wrong, I am hooked on Android head units, because they can do so much more than a normal stereo could do, and even Chrysler is now offering an Android headunit from the factory. I think Alpine makes their Android headunit. Names like Kenwood, Pioneer and JVC have also jumped on using Android for an operating system, but they as yet rarely support the use of bluetooth OBD2 adapters, and generally want you to use your phones GPS for finding your way around. The Android units found all over ebay and amazon almost always support both GPS and OBD2 adapters. Any external drive you use, should be as fast as you can get, and not insanely large, because the drive can adversely effect boot time, also, do not get a head unit that is under powered for the version of Android it is running. Anything with android 5 and up needs more than 1 gig of ram, or it will be slow. I had a 240gb SSD in my Intrepid and it worked well, but hooking up a 1 tB drive made it take to long to boot. It will display open doors on the screen. It also worked with my cobra iradar radar detector and shows info about what type of radar was detected. It supports USB flash drives, and hard drives, including SSD drives. I currently have an intel 180gb Gen3 SSD drive on mine, and it loads and plays music from it in 35 seconds from turning the key. NO USB HUB NEEDED FOR CONNECTING THE SSD!! Unlike previous android head units, this one runs SSD drives without the need of a USB hub. DISCONNECT THE BATTERY WHEN INSTALLING!! If you do not disconnect the battery, the cars computer will not recognize the head unit, and your factory amp will not work, until you have disconnected the battery for a few minutes. I have the 8 speaker (7 speakers plus 1 sub) 368 watt amp Boston Acoustic system. Everything works fine, except no uconnect, and the station info will no longer be displayed correctly on the evic. It came with the adapter to connect it to the can-bus system, so it is plug and play. Also, the steering wheel controls work. The vendor was very quick to respond to questions I had, also. It has 2gb's of ram. Do not waste your money on the units that have only 1 gb. Android 4 works fine with 1gb of ram, but later versions need more ram. It also has 32 gb's of internal storage. It came with the bezel for the Chrysler 300 and the can-bus adapter, so it was plug and play. I have to say that this is the best android head unit that I have ever owned. Last edited by BiliTheAxe; 05-21-2018 at 12:23 AM. Motor City baby! Love the Chrysler sports cars & concept cars!